Goodreads' mission is to help readers explore and share books they love. Our mission is to help users enjoy their everyday digital experiences. 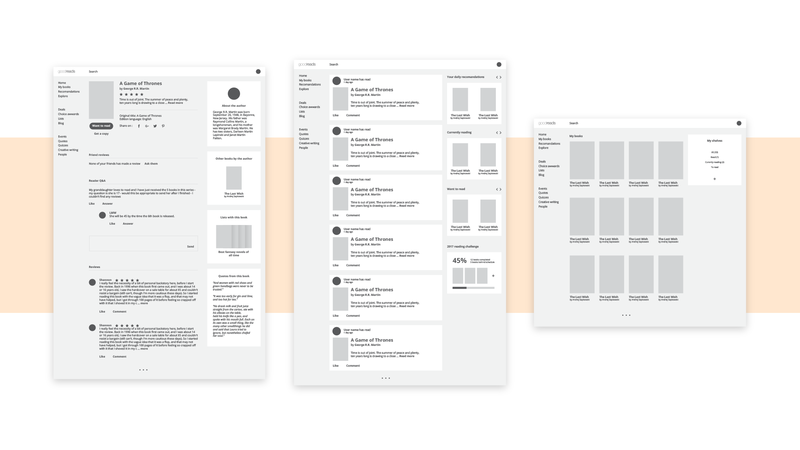 This project is a visual redesign proposal for the bookaholics’ favorite app. 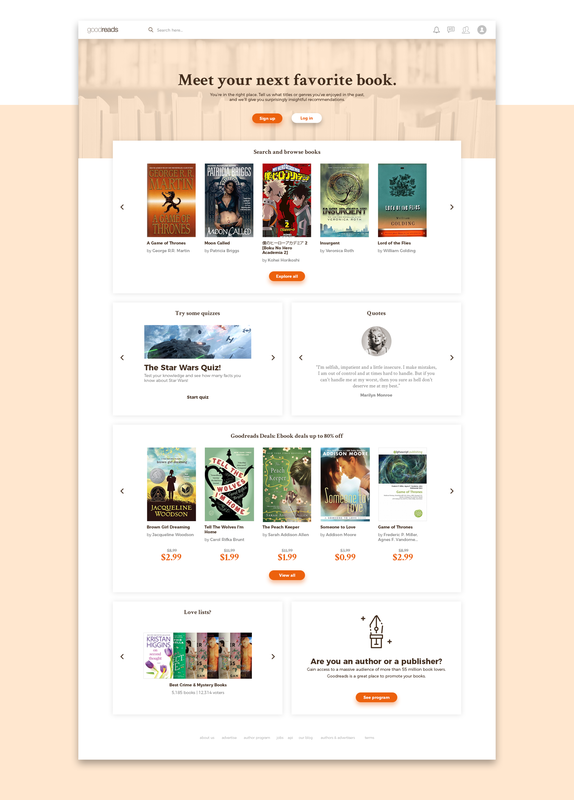 We are into digital branding for the books industry since 2007 and we like to keep an eye on everything books related: brand identity for libraries, online shops, publishing houses collections and, of course, web and mobile apps. 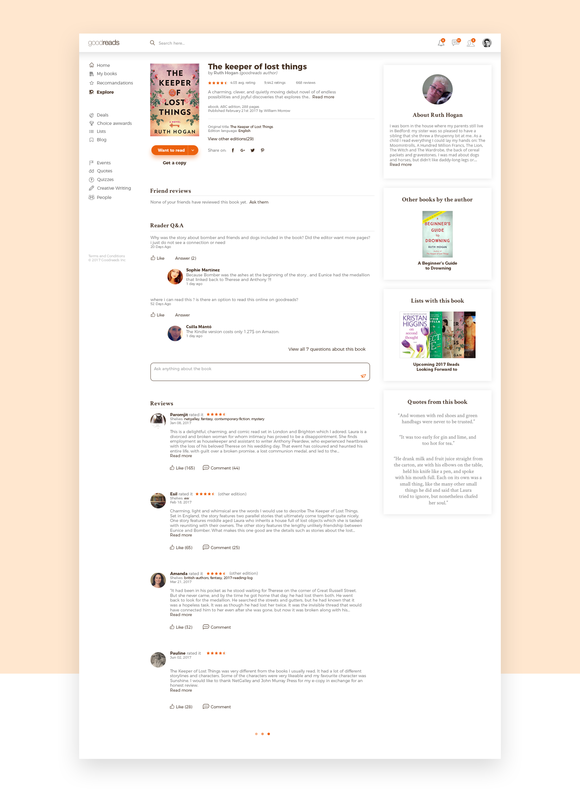 From designers to developers and project managers, we are all using Goodreads on a daily basis and we are annoyed by the inconsistent design and the outdated look and feel. Regardless of its amazing functionalities, the navigation on the website or app can be very confusing and tiring. 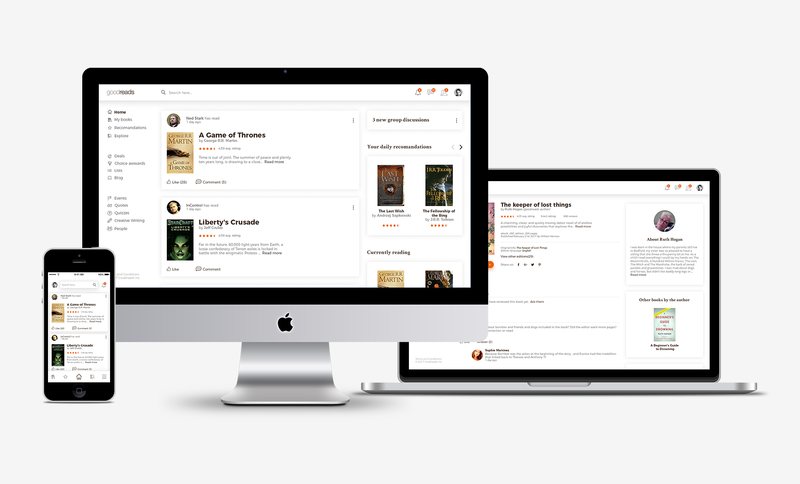 That’s why we came up with a new visual identity for Goodreads. 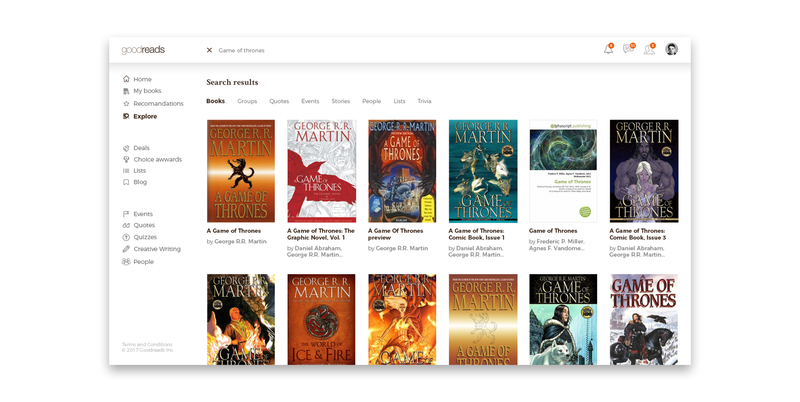 Our main challenge was to decide if Goodreads is primarily a social experience focused on the community or a personal experience, where the users track their activity and discover new books. After several discussions and versions, we agreed that we should have both and we defined Goodreads as a shared personal experience. 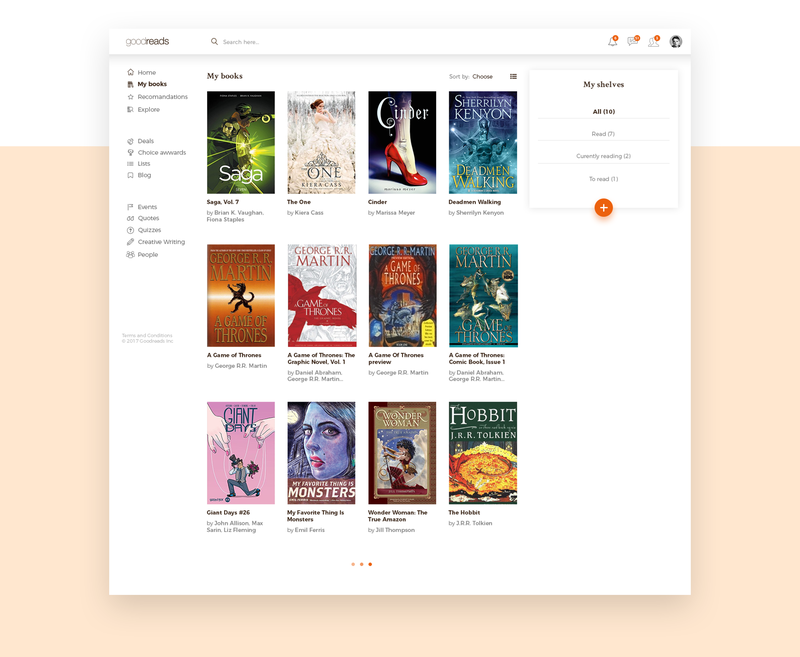 One major improvement is the new side menu, that helps Goodreads users access all sections at one click away, without navigating through multiple menus. 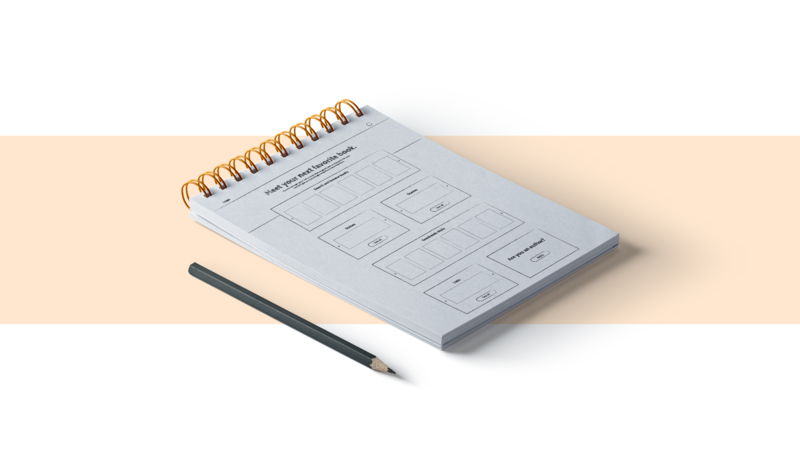 We designed everything closer to the look and feel of a social network, with card based design, familiar icons, section placements and separate community generated content. To encourage users to explore, we gave more importance to the search area, making it the main section of the header. Chatting with friends on Goodreads is currently based on a mailing system which is a huge impediment for immediate communication. 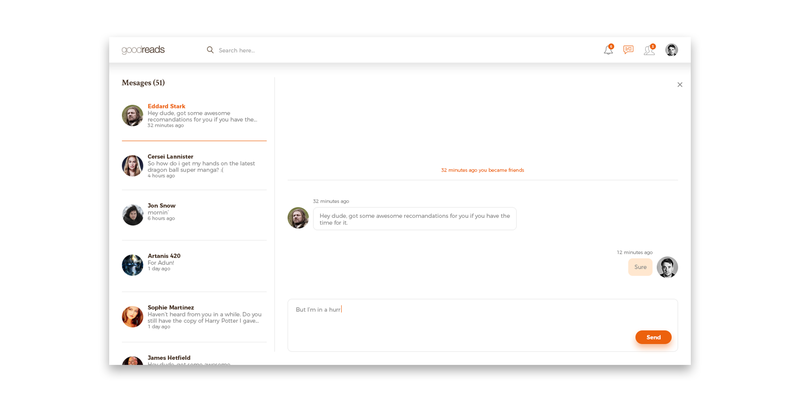 Everyone loves instant messaging, so we designed an easy to access chat system that can be used either with chat boxes or as a full screen for those endless disputes about J.R.R. Tolkien vs George R.R. Martin. Spoiler: this is merely a fun project which does not follow the usual creative process used for our clients. 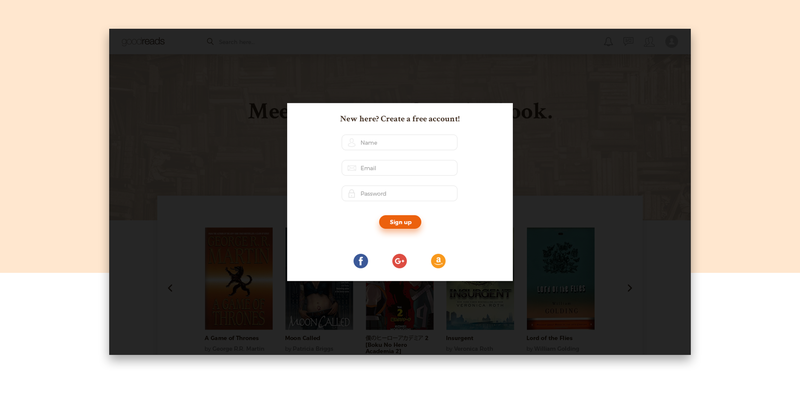 Are you excited about a better experience on Goodreads? Share this with your friends and let's make it real!